Have you been considering a cruise for years but never quite got there? Read on for ten of our top reasons why 2015 should be the year you bite the bullet and book your very first cruise! You’re never too old … or too young! Have you held back from cruising because you feel like you’re past your prime? Or perhaps you simply can’t face the idea of planning a family holiday? Either way, cruising in 2015 is easier than ever. Most modern ships are now equipped with disabled-friendly features that make cruising a breeze. Cabins on Holland America Line’s Veendam feature sliding doors, roll-in showers, lower closet rods and bathroom grab bars while Celebrity has installed pool lifts across its entire fleet. If you’re concerned about entertaining the little ones lines such as Disney, Royal Caribbean and Carnival run fantastic kid’s programmes. This year has seen some fabulous new destinations added to a huge range of itineraries. Oceania will be making maiden calls to Boracay Island in the Philippines, Cunard will be calling at Italy’s Rapallo and Disney will traverse the majestic Norwegian fjords. Get out there and explore! If your new year’s resolution is to save cash it doesn’t mean you have to compromise on a holiday. Cruise 1st offers year-round deals on a huge selection of voyages from all the leading lines. Whether you’re on the search for a jam packed three day cruise or a luxurious three week voyage the friendly team of experts will help you find the perfect cruise without breaking the bank. 2015 will see the launch of seven new ships! P&Os flagship Britannia, Royal Caribbean’s Anthem of the Seas, Norwegian Cruise Line’s Norwegian Escape and Princess Cruises’ Royal Princess are our top picks! Gone are the days of cliché cabarets and cringe worthy karaoke sessions. Today’s cruise ship entertainment is world class and 2015 is no exception! If you love to tantalise your taste buds with gourmet cuisine 2015 is the year for you! 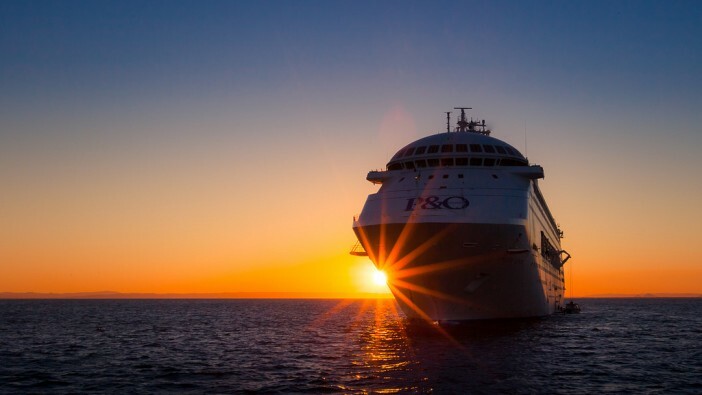 P&O Britannia will treat passengers to gastronomic delights dreamt up by the likes of celebrity chefs such as James Martin, Atul Kochhar and Marco Pierre White as well as wine expert Olly Smith and award winning master patissier Eric Lanlard. Passengers sailing on Anthem of the Seas will also get the chance to choose from a huge 18 restaurants! If you love up-to-the-minute extravagance 2015 is definitely the year to cruise. Anthem of the Seas, Royal Caribbean’s newest mega liner will feature robotic bartenders, P&O’s Britannia will house the world’s first at-sea cooking school while Norwegian Escape will boast The Waterfront, the industry’s first oceanfront promenade. Themed cruising is incredibly popular and this year will see some brand new concepts introduced to itineraries across the board. Rebel Ink Magazine’s tattoo-themed cruise on-board Royal Caribbean’s Liberty of the Seas, Fred Olsen’s Solar Eclipse Cruise and Norwegian Pearl’s 311 Caribbean Cruise celebrations are just three of our favourites! 2015 marks milestone anniversaries for a three of our favourite companies. The iconic Cunard line will be celebrating 150 years of sailing, Princess Cruises will be toasting to 50 years at-sea and Crystal Cruises will be running a handful of VIP itineraries to celebrate its silver anniversary! If you’d like to give cruising a try, we can help at Cruise 1st. You can find out-of-this-world cruises right here. And there are lots of options, so you’ll definitely find something that suits you. What are you waiting for?